Are you new to kratom and want to find the strain that best suits you? Or are you simply new to Coastline Kratom and want to sample a variety of our products? In either case, our Beginner’s Pack is for you! Our Beginner’s Pack contains 25g each of our most popular and diverse strains: Red Vein Maeng Da, Green Vein Malay, and White Vein Bali. Each has its own unique aroma: stimulating or relaxing. Try them with our money back guarantee to find out which one is best for you. By purchasing them together you save 10% more than if you purchased them all individually! All our kratom is sourced from mature trees and harvested by the indigenous tribes in Southeast Asia. These tribes have decades of experience harvesting from only ripe trees, and produce our powder into a sugar-like consistency using a standard grind. 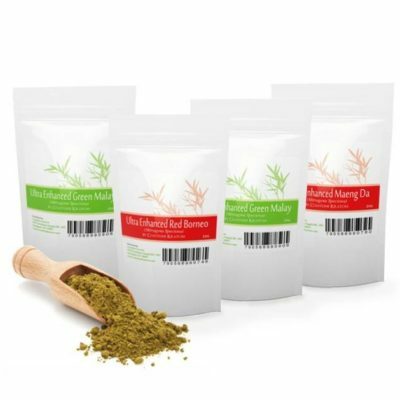 Other products you might be interested in include: Red Kratom Pack, and Ultra Enhanced Maeng Da. All Coastline Kratom orders ship within a day and come with a full money back guarantee. Free domestic shipping on all U.S. orders over $75. Thank you for shopping with Coastline Kratom, and please remember us for all your kratom needs! Sold exclusively as an ingredient for soap making or aromatherapy. Not intended for human consumption.